Who is Dr. Kwame Nkrumah? Kwame Nkrumah 21 September 1909 - 27 April 1972, was an influential 20th century advocate of Pan-Africanism, and the leader of Ghana and its predecessor state, the Gold Coast, from 1952 to 1966. In 1909, Kwame Nkrumah was born to Madam Nyaniba in Nkroful, Gold Coast Nkrumah graduated from the prestigious Achimota School in Accra in 1930, studied at a Roman Catholic Seminary, and taught at a Catholic school in Axim. In 1935 he left Ghana for the United States, receiving a BA from Lincoln University, Pennsylvania in 1939, where he pledged the Mu Chapter of Phi Beta Sigma Fraternity, Inc., and received an STB (Bachelor of Sacred Theology) in 1942. Nkrumah earned a Master of Science in education from the University of Pennsylvania in 1942, and a Master of Arts in philosophy the following year. While lecturing in political science at Lincoln he was elected president of the African Students Organization of America and Canada. As an undergraduate at Lincoln he participated in at least one student theater production and published an essay on European government in Africa in the student newspaper,The Lincolnian. He arrived in London in May 1945 intending to study at the LSE. After meeting with George Padmore, he helped organize the Fifth Pan-African Congress in Manchester, England. Then he founded the West African National Secretariat to work for the decolonization of Africa. Nkrumah served as Vice-President of the West African Students' Union (WASU). Over his lifetime, Nkrumah was awarded honorary doctorates by Lincoln University, Moscow State University; Cairo University in Cairo, Egypt; Jagiellonian University in Kraków, Poland; Humboldt University in the former East Berlin; and other universities. Return to the Gold Coast. In the autumn of 1947, Nkrumah was invited to serve as the General Secretary to the United Gold Coast Convention (UGCC) under Joseph B. Danquah. This political convention was exploring paths to independence. Nkrumah accepted the position and sailed for the Gold Coast. After brief stops in Sierra Leone, Liberia, and the Ivory Coast, he arrived in the Gold Coast in December 1947. In February 1948, police fired on African ex-servicemen protesting the rising cost of living. The shooting spurred riots in Accra, Kumasi, and elsewhere. 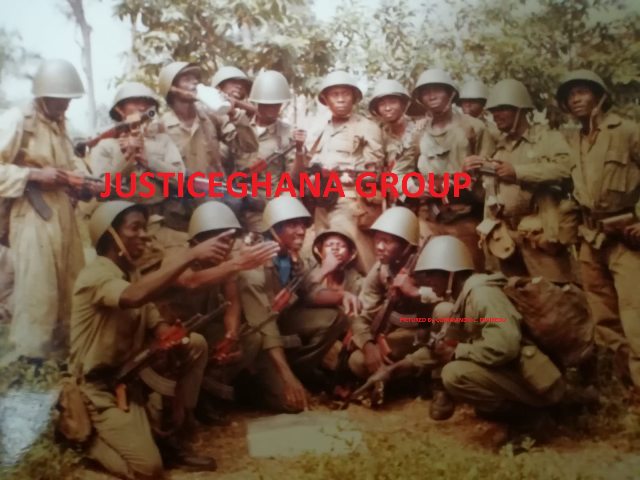 The government suspected the UGCC was behind the protests and arrested Nkrumah and other party leaders. Realizing their error, the British soon released the convention leaders. After his imprisonment by the colonial government, Nkrumah emerged as the leader of the youth movement in 1948. Facing international protests and internal resistance, the British decided to leave the Gold Coast. Britain organized the first general election to be held under universal franchise on 5-10 February 1951. Though in jail, Nkrumah's CPP was elected by a landslide taking 34 out of 38 elected seats in the Legislative Assembly. Nkrumah was released from prison on 12 February, and summoned by the British Governor Charles Arden-Clarke, and asked to form a government on the 13th. The new Legislative Assembly met on 20 February, with Nkrumah as Leader of Government Business, and E.C. Quist as President of the Assembly. A year later, the constitution was amended to provide for a Prime Minister on 10 March 1952, and Nkrumah was elected to that post by a secret ballot in the Assembly, 45 to 31, with eight abstentions on 21 March. He presented his "Motion of Destiny" to the Assembly, requesting independence within the British Commonwealth "as soon as the necessary constitutional arrangements are made" on 10 July 1953, and that body approved it. Independence. As a leader of this government, Nkrumah faced three serious challenges: first, to learn to govern; second, to unify the nation of Ghana from the four territories of the Gold Coast; third, to win his nation's complete independence from the United Kingdom. Nkrumah was successful at all three goals. Within six years of his release from prison, he was the leader of an independent nation. At 12 a.m. on 6 March 1957, Nkrumah declared Ghana independent. Nkrumah was hailed as "Osagyefo" - which means "redeemer" in the Twi language. On 6 March 1960, Nkrumah announced plans for a new constitution which would make Ghana a republic. The draft included a provision to surrender Ghanaian sovereignty to a union of African states. On 19, 23, and 27 April 1960 a presidential election and plebiscite on the constitution were held. The constitution was ratified and Nkrumah was elected president over J. B. Danquah, the UP candidate, 1,016,076 to 124,623. In 1961, Nkrumah laid the first stones in the foundation of the Kwame Nkrumah Ideological Institute created to train Ghanaian civil servants as well as promote Pan-Africanism. In 1963, Nkrumah was awarded the Lenin Peace Prize by the Soviet Union. Ghana became a charter member of the Organization of African Unity in 1963. The Gold Coast had been among the wealthiest and most socially advanced areas in Africa, with schools, railways, hospitals, social security and an advanced economy. Under Nkrumah's leadership, Ghana adopted some socialistic policies and practices. Nkrumah created a welfare system, started various community programs, and established schools. Politics He generally took a non-aligned Marxist perspective on economics, and believed capitalism had malignant effects that were going to stay with Africa for a long time. Although he was clear on distancing himself from the African socialism of many of his contemporaries; Nkrumah argued that socialism was the system that would best accommodate the changes that capitalism had brought, while still respecting African values. He specifically addresses these issues and his politics in a 1967 essay entitled "African Socialism Revisited": "We know that the traditional African society was founded on principles of egalitarianism. In its actual workings, however, it had various shortcomings. Its humanist impulse, nevertheless, is something that continues to urge us towards our all-African socialist reconstruction. We postulate each man to be an end in himself, not merely a means; and we accept the necessity of guaranteeing each man equal opportunities for his development. The implications of this for socio-political practice have to be worked out scientifically, and the necessary social and economic policies pursued with resolution. Any meaningful humanism must begin from egalitarianism and must lead to objectively chosen policies for safeguarding and sustaining egalitarianism. Hence, socialism. Hence, also, scientific socialism." Nkrumah was also perhaps best known politically for his strong commitment to and promotion of Pan-Africanism. Having been inspired by the writings and his relationships with black intellectuals like Marcus Garvey, W. E. B. Du Bois, and George Padmore. With perhaps Nkrumah's biggest success in this area coming with his significant influence in the founding of the Organization of African Unity. Economics Nkrumah attempted to rapidly industrialize Ghana's economy. He reasoned that if Ghana escaped the colonial trade system by reducing dependence on foreign capital, technology, and material goods, it could become truly independent. Unfortunately, industrialization hurt the country's cocoa sector. Many economic projects he initiated were unsuccessful, or with delayed benefits. The Akosombo Dam was expensive, but today produces most of Ghana's hydroelectric power. Nkrumah's policies did not free Ghana from dependence on Western imports. By the time he was deposed in 1966, Ghana had fallen from one of the richest countries in Africa, to one of the poorest. Decline and fall to power. In 1958 Nkrumah introduced legislation to restrict various freedoms in Ghana. After the Gold Miners' Strike of 1955, Nkrumah introduced the Trade Union Act, which made strikes illegal. When he suspected opponents in parliament of plotting against him, he wrote the Preventive Detention Act that made it possible for his administration to arrest and detain anyone charged with treason without due process of law in the judicial system. The Detention Act led to widespread disaffection with Nkrumah's administration. Some of his associates used the law to arrest innocent people to acquire their political offices and business assets. Advisers close to Nkrumah became reluctant to question policies for fear that they might be seen as opponents. When the clinics ran out of pharmaceuticals, no one notified him. Some people believed that he no longer cared. Police came to resent their role in society. Nkrumah disappeared from public view out of a justifiable fear of assassination. In 1964, he proposed a constitutional amendment making the CPP the only legal party and himself president for life of both nation and party. The amendment passed with over 99 percent of the vote an implausibly high total that could have only been obtained through fraud. In any event, Ghana had effectively been a one-party state since becoming a republic, but the amendment transformed Nkrumah's presidency into a de facto legal dictatorship. Nkrumah wanted Ghana to have modern armed forces, so he acquired aircraft and ships, and introduced conscription. He also gave military support to those fighting the Smith administration in Zimbabwe, then called Rhodesia. In February 1966, while Nkrumah was on a state visit to North Vietnam and China, his government was overthrown in a military coup, which was backed by the CIA. Today, Nkrumah is one of the most respected leaders in African history. In 2000, he was voted Africa's man of the millennium by listeners to the BBC World Service. Exile, death and tributes Nkrumah never returned to Ghana, but he continued to push for his vision of African unity. He lived in exile in Conakry, Guinea, as the guest of President Ahmed Sékou Touré, who made him honorary co-president of the country. He read, wrote, corresponded, gardened, and entertained guests. Despite retirement from public office, he was still frightened of western intelligence agencies. When his cook died, he feared that someone would poison him, and began hoarding food in his room. He suspected that foreign agents were going through his mail, and lived in constant fear of abduction and assassination.